Some age-related conditions, such as arthritis, can cause stiff joints or even weakened muscles. As such, your loved ones may not be able to use their hands as well as they once could, which can make daily tasks like picking up small pills or gripping a glass of water difficult. It's important that seniors use their muscles and stay active to combat this issue, including the muscles and joints in their hands. Wielding a pen can help with this, and a journal provides a fun opportunity to pick up a pen or pencil. Just jotting down some notes before going to bed can improve dexterity. 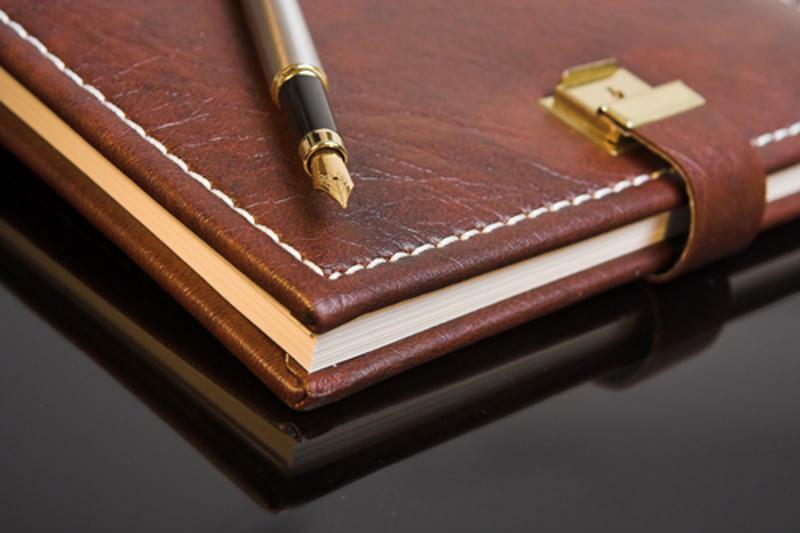 Encourage your senior loved one to write in a journal. There's a reason diaries are often filled with heartbreaks and struggles. Writing is the perfect way to work through life's difficulties. In fact, research has shown that writing about troubling events doesn't just help you heal emotionally, but it can also help treat physical conditions. "Writing about life's struggles can help people heal." Research published in the journal Psychosomatic Medicine reviewed this phenomenon. The study involved 49 healthy seniors between the ages of 64 and 97 who were split in two groups. For three days, one group wrote about the most traumatic event they had experienced, and were encouraged to be as candid as possible. The other seniors just wrote about their plans for the day. After the third day, a skin biopsy was taken from each senior, creating a small wound. The researchers took photos of the cuts, which revealed that the emotion-writing group healed quicker compared to the other group. Specifically, after 11 days, 76 percent of the participants who wrote about the traumatic events had completely healed, compared to 42 percent of the other group. Researchers aren't clear on what specifically led to the participants' faster healing times. It could have been from getting better sleep as a result of letting out emotions in the journal, or it could have been correlated to reduced stress. Either way, writing about life's struggles can help people heal, which is especially important for seniors, as they may have more difficulty recovering from surgeries and health issues than younger counterparts. Memory loss is a common problem among seniors, especially for those with dementia. Fortunately, reading and writing can help improve brain power and combat forgetfulness. A study published in the journal Neurology analyzed memory decline in older adults. Those who performed mentally stimulating activities like reading and writing had a 32 percent slower rate of mental decline compared to those who only performed average-level mental activities. Researchers theorized that reading and writing can help the aging brain resist damage from dementia. Plus, writing things down can give seniors struggling with memory loss something to reference. Writing has a lot of benefits for seniors, and as a caregiver or family member, it may be advantageous for you to encourage this habit. Buy your loved one a journal for his or her birthday, or include it as a gift during the holidays. You may be giving him or her more than just blank pages.